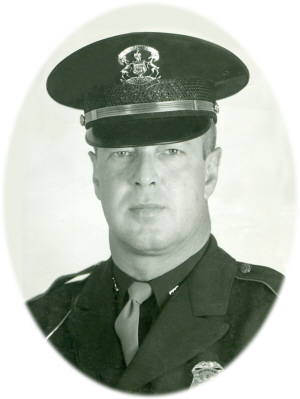 Jack Lewis Bouck, age 89, passed away on Saturday, March 16, 2019 in Haslett, MI. Jack was born to Floyd and Laura (Peck) Bouck in Elsie, MI on September 23, 1929. 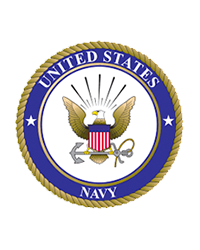 Jack graduated from Elsie High School in 1947, after which he enlisted in the United States Navy, serving four years with an Honorable Discharge and the Good Conduct and Berlin Airlift Medals. While in the Navy, Jack played football for the Pautuxent River Naval Air Station team, where he earned the nickname “Feets”. Upon discharge from the Navy, Jack enlisted in the Michigan State Police, rising to the rank of First Lieutenant, being posted to the Centerline, Ypsilanti, Mt. Pleasant, Hart (where he served as the first Post Commander), and MSP Operations, serving there in a number of capacities. Upon retirement from MSP, Jack worked for the Ingham County Friend of the Court Office, leaving mid-Michigan in 1980, with his loving wife, Joanne, for “up north”, residing on the shores of Higgins Lake 37 years, where he and Joanne both worked for Higgins Lake True Value Hardware, “selling paint and nails”. Jack and Joanne were avid birders, logging numerous “life birds”, even taking their avocation to the level of planning their vacations around the migration of bird species. Jack and Joanne hosted numerous fellow birders flocking to Michigan to see the elusive Kirtland’s Warbler. Jack married his high school sweetheart, Joanne, on January 17, 1953. Jack is preceded in death by his parents Floyd and Laura, as well as his brother, Russell and sisters: Helen and Miriam. Jack is survived by his wife of 66 years, Joanne, and his children: David (Mary) Bouck and Susan (Tony) Koontz. Jack leaves behind three granddaughters: Emily (Aman Yadav) Bouck and Stephanie and Allison Koontz, and two great-grandchildren: Devin and Olivia Yadav, as well as many nieces and nephews. Special thanks are given to Grace Hospice and Home Sweet Home AFC for the kind care and attention given to the family during this time. Funeral Services will be held at Smith Family Funeral Homes, Elsie, MI on Wednesday, March 20, 2019 at 1:00 P.M. with Chaplain Bryan Thompson officiating. Visitation will be held from 11 A.M. – 1 P.M. at the funeral home. Burial will take place at Riverside Cemetery, Elsie, MI at a later date. Online condolences may be sent at www.smithfamilyfuneralhomes.com. The family is being served by Smith Family Funeral Homes, Elsie, MI.